Cork is a great material for yoga flooring in regular practice spaces. Made from natural materials, it is ideal for yogis looking for eco-friendly, easily maintained materials. However, some companies are making yoga mats to take the benefits of cork on the go. Let’s review the best cork yoga mats. 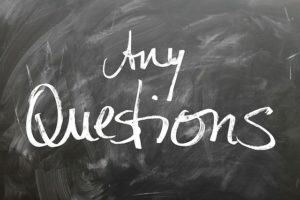 The demands of different kinds of yoga are attracting many people to new materials that better support their practice. One material with unique advantages is cork. The best cork yoga mats have excellent absorption with better grip as they warm up. This does not mean that all cork yoga mats are the same. Ideally, characteristics of a cork yoga mat are that it does not require breaking in and that cork is naturally antimicrobial. 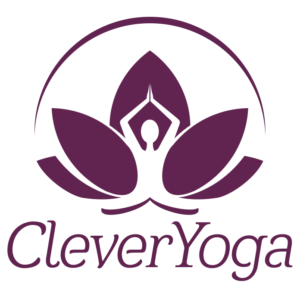 It does not pick up or attract bacteria that grows in open celled foam mats, and is easily cleaned while holding up to the hardest yoga practices. Cork tends to be a heavier material for yoga gear. Instead of being blended, it is often layered to increase effectiveness as a mat material. These materials should have some stick to assist with floor grip. This ensures that the mat lays flat instead of curling up at the corner, as cork is a stiff material. The best mat for your yoga practice may rely on this second material to enhance the natural advantages of the cork. Cork in general is encouraged for hot yoga. This is because when it warms up, the material creates more friction for more grip in those slippery poses. The best mat for hot yoga on our list is the Roots Professional Cork Yoga Mat, which offers an open-celled rubber base to grip the floor. 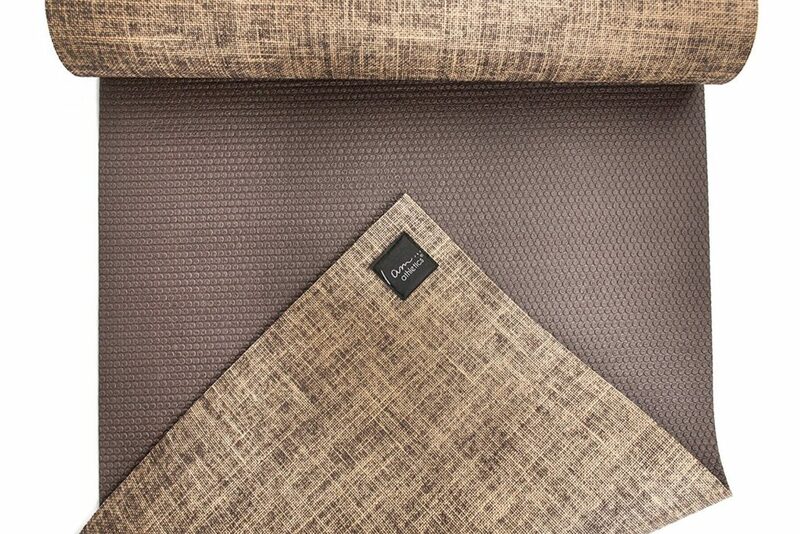 This double sided mat uses aspects of two materials to optimized hot yoga practice. It can be used on both sides, but however it is used, this mat will remain dense and has a high absorption rate. This cuts down on pooling during hot yoga sessions, which is a major concern. 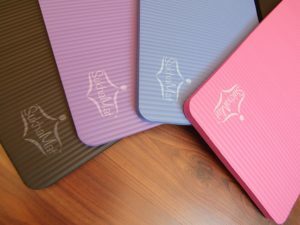 While the rubber is ideal for gripping the floor, it can also be used for a smoother experience when practicing yoga. When looking for the best cork yoga mat, cleaning and break in period may be a concern. 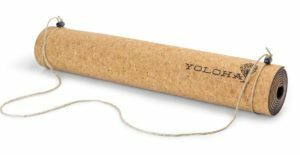 However, the Yoloha Nomad Cork Yoga Mat takes these worries out of the equation. It has a foam base with a top layer of cork. The combination of materials in this mat make it easily cleaned. It just has to be wiped down with vinegar and water or another gentle cleaning solution. The foam is also resistant to bacteria, while the cork is naturally antimicrobial. This means that neither sliding around on the floor nor bacteria are a worry with this yoga mat. In use, the mat has a high absorption with a smooth texture. However, with this cork mat, keep in mind that the foam is not meant to be used as a surface for practicing yoga. While it is layered, it’s a single sided mat, optimized to get the most out of the cork layer. 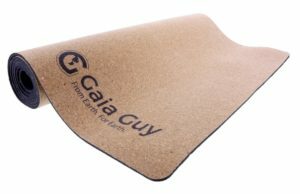 The Natural Cork & Natural Rubber Yoga Mat produced by Gaia Guy is made from ecologically sound materials that offer a smooth feel. 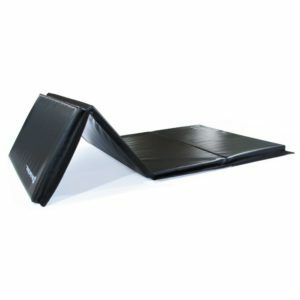 Despite its smooth surface, its grip does improve as it heats up and becomes wet. 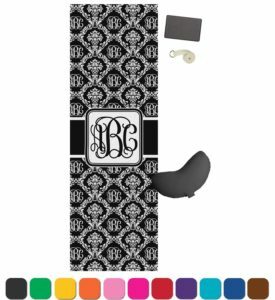 It is designed for the best texture with support from the rubber underlayer. 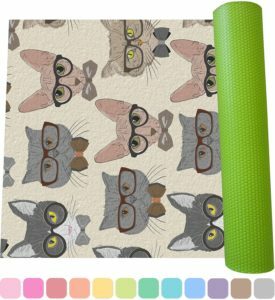 This mat will lay nice and flat while providing enough density to cushion you from the floor during yoga. While this is another mat that utilizes rubber and cork together, the gripping nature of the rubber is meant to be enjoyed with that side on the floor. 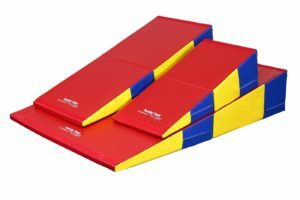 This is not a dual sided mat. This particular cork yoga mat also does not have the highest absorption. While it will be better than a regular foam mat for hot yoga, expect a little pooling in warmer practices. To fight the smell that may come with regular sweating, it’s suggested this cork yoga mat is cleaned with a organic soap and sun-dried. Cork yoga mats combine natural materials with excellent feel to create a pleasurable and easy yoga experience. The key to the best cork yoga mats is a smoothly applied cork layer with a sticky under layer for gripping to the floor. When picking your cork mat, be sure to pay attention to the combination of materials to choose the one that will benefit you the most and allows for the easiest maintenance for your practice.